When someone tells you who they are, you have no choice but to believe them. Governor Chris Christie of New Jersey is no exception. Since the moment he walked on to the mainstream political stage in 2009, he has consistently shown us who he is and doubled down on those performances. This is a guy who has shown us that he has no regards for rules and plays only by his own. Chris Christie has a philosophy of executing by any means necessary. He is a self-proclaimed badass who never backs down. Yelling at teachers and anyone who disagrees with him in a public setting. During the 2009 Governor's race in New Jersey, we were introduced to Christie's unethical behavior as demonstrated during his time as United States Attorney for New Jersey. In 2007 Christie used his position as US Attorney to return a favor to his former boss John Ascroft (United States Attorney General, 2001-2005). Christie appointed Ashcroft's law firm to preside over the monitoring of an organization that was involved in a federal case that Christie prosecuted. The company in question was accused of giving high dollar kickbacks to surgeons, in exchange for their promotion and exclusive use of the company's knee and hip replacement devices. Many felt that this was a case that should have been fully prosecuted, forcing the company to pay fines for the fraud that they committed and ultimately shut their doors. This was not a case that should have been settled, and Christie did just that. The settlement resulted in a $52M payday for his buddy's firm. Christie also acted unethically when he decided to return another favor versus criminally prosecuting pharmaceutical company Bristol Myers. Christie made a backdoor deal that allowed the company to avoid prosecution in exchange for their financial contributions to Seton Hall University. 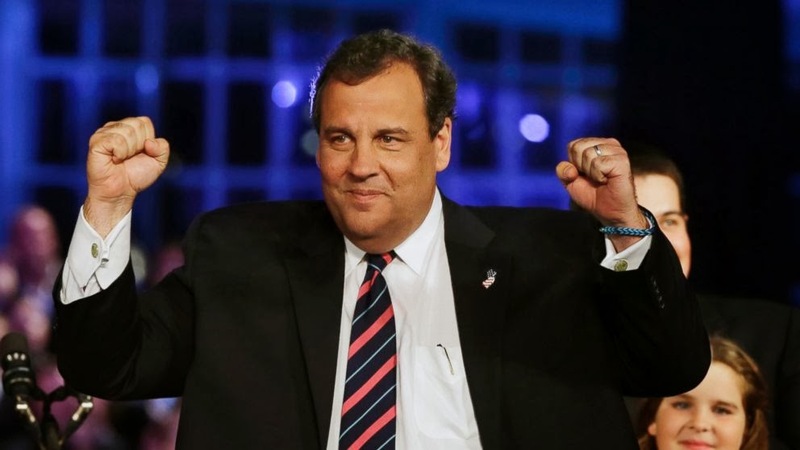 Governor Chris Christie is a 1987 graduate of Seton Hall University School of Law. Are we seeing the pattern here?? Uphold loyalty at all costs. If this is your personal mantra and the people in your inner circle understand that this is how you think, it should come as no surprise that the people in Governor Christie's cabinet and administration have been practicing this very behavior, on his behalf. A few weeks ago, we had "BRIDGE-GATE" and Governor Christie expressed utter disgust for Bridget Kelly and her executing of the lane closures. He didn't sleep, eat or talk to anyone, because he was so distraught over Ms. Kelly's acts, which were labeled as "stupid" to him. In his two-hour plus press conference, he "accepted responsibility" and told us that we all misunderstood him, because he was actually a teddy-bear and NOT a bully. Okay. Two senior members of Gov. Chris Christie’s administration warned a New Jersey mayor earlier this year that her town would be starved of hurricane relief money unless she approved a lucrative redevelopment plan favored by the governor, according to the mayor and emails and personal notes she shared with msnbc. The mayor, Dawn Zimmer, hasn’t approved the project, but she did request $127 million in hurricane relief for her city of Hoboken – 80% of which was underwater after Sandy hit in October 2012. What she got was $142,000 to defray the cost of a single back-up generator plus an additional $200,000 in recovery grants. The two senior members in question are New Jersey Lieutenant Governor Kim Guadagno and Richard Constable, Community Affairs Commissioner - both members of Governor Christie's Cabinet. Both individuals told Mayor Zimmer to move the private development project forward or risk losing Hurricane Mitigation Funds for Hooboken. She didn't play ball, so she received very little funding for Hooboken to rebuild. Keep in mind Hoboken suffered a severe amount of damage, so there was no reason for the city to not receive adequate funding. Again, we have a situation where a member(s) of the Christie Administration has retreated to unethical and illegal behavior on Governor Christie's behalf. It's going to be impossible for Governor Christie to cry ignorance on this one. There is something seriously wrong with his administration and this is a direct reflection of Christie's leadership style. And this guy wants to be President? Imagine if President Obama led in this manner? What would his adversaries have to say? (1) Do you believe Mayor Zimmer that the Christies Administration withheld funding to Hooboken because of the development project? (2) Why didn't Mayor Zimmer come forward prior to the 2012 election? (3) Could this incident be tied to "Bridge-Gate?" If so, what does it say about Christie's leadership style? (4) is Christie dealing with a rogue administration or are their actions direct orders of the Governor?